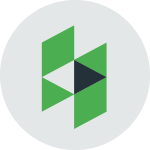 Homes across the nation are always trying to find ways that beautify their properties while offering great value in improved equity. 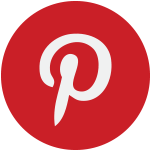 Enhancing your curb appeal is always wonderful for both resale as well as taking pride in your own home. 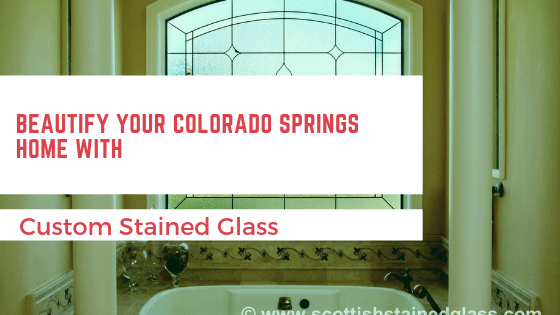 Colorado Springs homes can definitely appreciate this– homeowners like to find aesthetic appeal that can really make their place stand out. 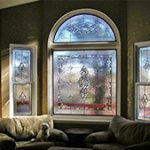 Custom stained glass offers wonderful benefits in terms of both aesthetics and functionality. 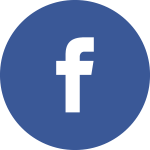 Beautify your home with this amazing opportunity! 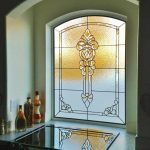 Custom stained glass is visually stunning and eye-catching, providing a great way to transform your curb appeal as well as interior design. 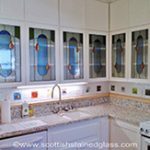 Stained glass is quite a versatile medium that can capture traditional to contemporary and everything in between. 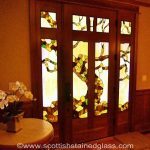 Stained glass is also a very compelling privacy solution. 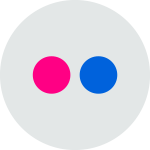 Obscure all unwanted views into your home from prying neighbors and strangers on the street. 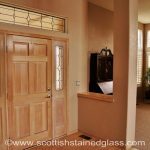 Privacy stained glass can be installed throughout your home in any area that requires more seclusion. 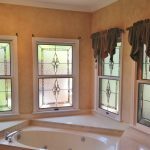 Perfect for basements, bathrooms, bedrooms, kitchens, living rooms, built-ins, home bars, offices, hallways, and more, custom stained glass eliminates the need for window coverings. 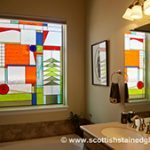 The great thing about stained glass is that it allows in an abundance of natural sunlight without sacrificing privacy. 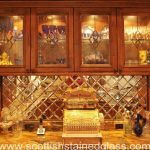 Scottish Stained Glass has successfully created and installed over 80,000 custom stained glass windows. 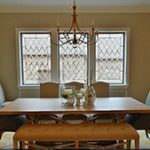 We’re passionate about stained glass and love creating beautiful designs that perfectly complement your existing decor. 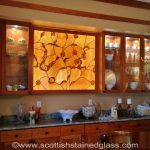 Sit down with one of our stained glass artisans to discuss your design ideas and create the stained glass of your dreams! 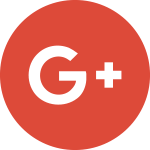 Whether you have a working design in mind or need inspiration, we’re here to help. 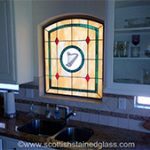 For more information regarding residential custom stained glass, please contact us!